They were dark days for the land of Judah. Josiah’s grandfather, King Manasseh, was captured by the Assyrians who put a hook in his nose and led him captive to Babylon. Josiah’s father, King Amon, was completely corrupt and his officials assassinated him. Josiah was only 8 years old when he was crowned king. In those days, people worshipped any number of deities and idols and who was to say if there really was only one true God? Confusion reigned in the land, morality plummeted and corruption was everywhere. At 16, the young king decided to worship only the Lord, the God of his great, great, great, great grandfather, King David. By age 20, his zeal knew no bounds as he systematically destroyed the idols that filled his kingdom. At 26, he began to restore the Temple of Solomon in Jerusalem and the workers discovered an ancient scroll, the Book of the Law. 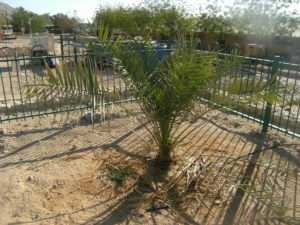 In 2005, Israeli scientists announced to the world, a Judean Date Palm – a tree long thought extinct – had just germinated. Today that plant is over 3 meters high and doing well; the first of what will hopefully be many, many more. How did that happen? Forty years before, archaeologists, excavating King Herod’s desert palace at Masada, uncovered a jar full of 2,000-year-old date palm seeds. No one thought seeds that old could possibly grow, so they sat in a professor’s desk drawer for four decades! Then a botanist planted one and the rest is history. The Apostle Peter told Christians the word of God is seed. When it is planted, it produces people of God (1 Peter 1:23). Josiah understood that and so do we. Rather than becoming enmeshed in the minutiae of people’s opinions, dogma and theology, why can’t we just be Christians and read the Bible for ourselves? Just as tomato seeds produce tomatoes and strawberry seeds produce strawberries, so the word of God, when planted in good and honest hearts, produces Christians. It’s ancient seed. Is there a Camel in Your Soup?